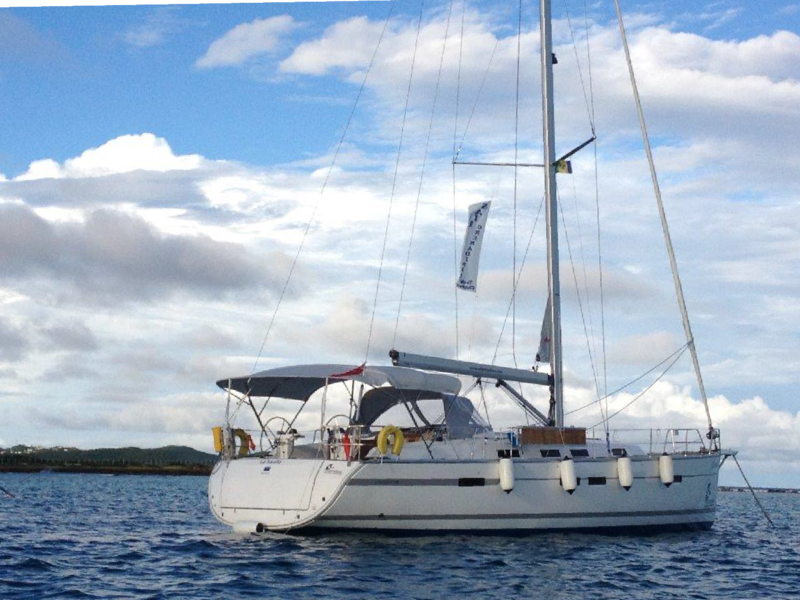 This yacht represents a great opportunity for those looking for both charter-boat comfort and performance-boat speed. 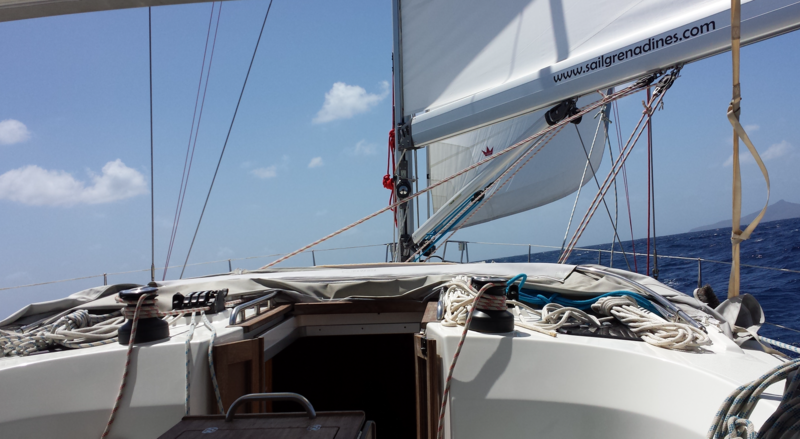 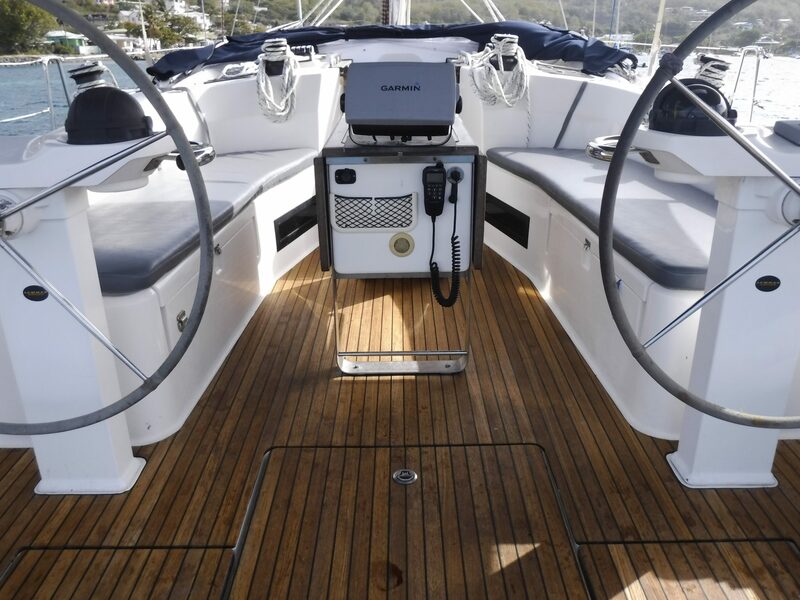 Our Bavaria 45s are very spacious yachts inside and easy to handle with large bathing platforms – great sailing yachts for the carribbean. 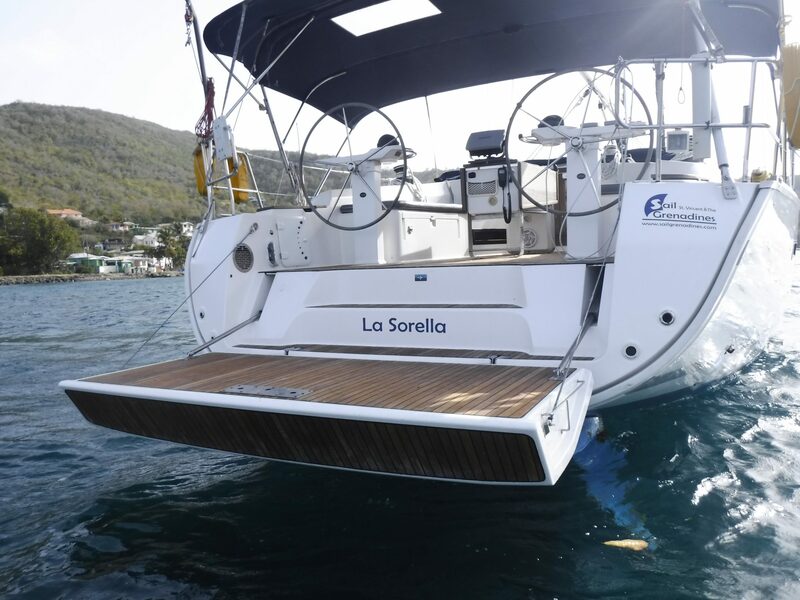 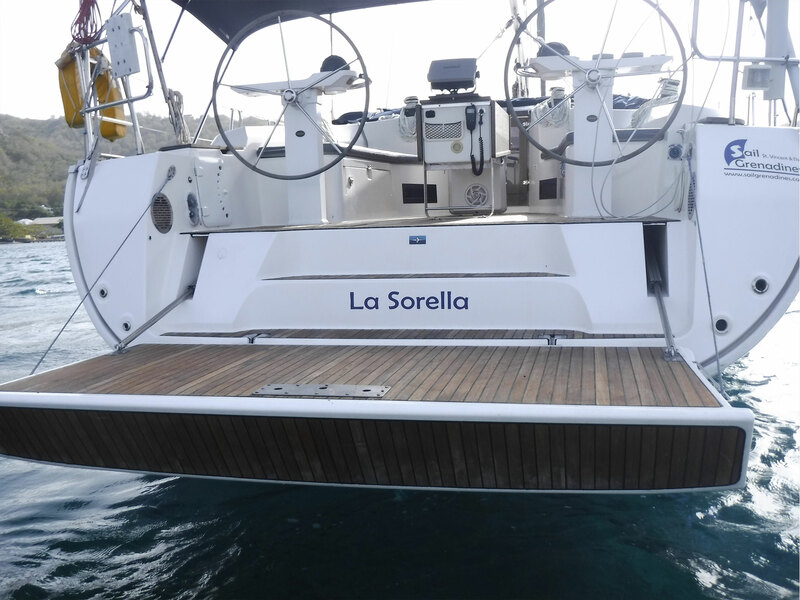 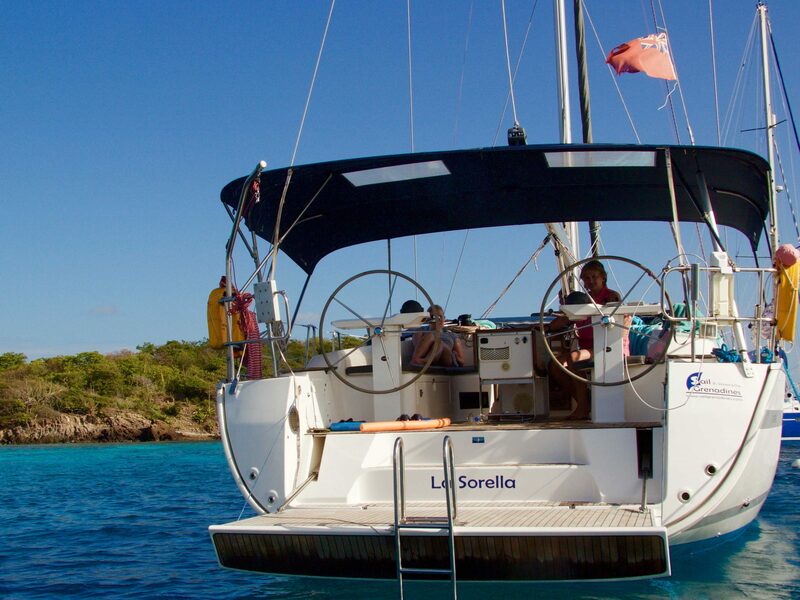 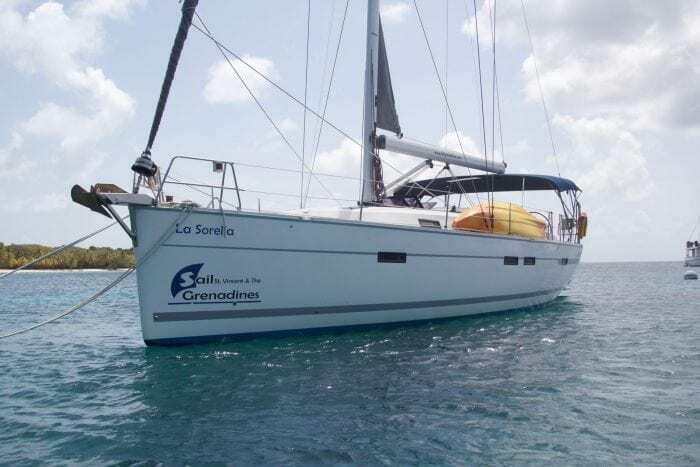 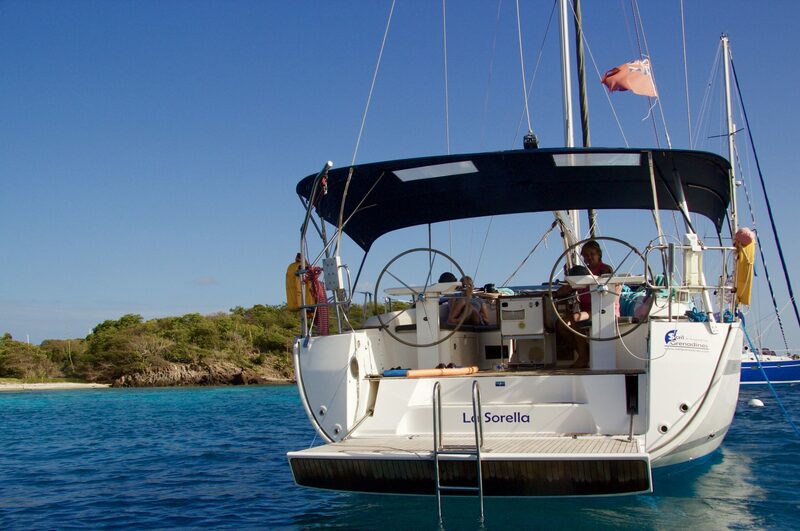 LA SORELLA has 4 cabins and 3 heads. 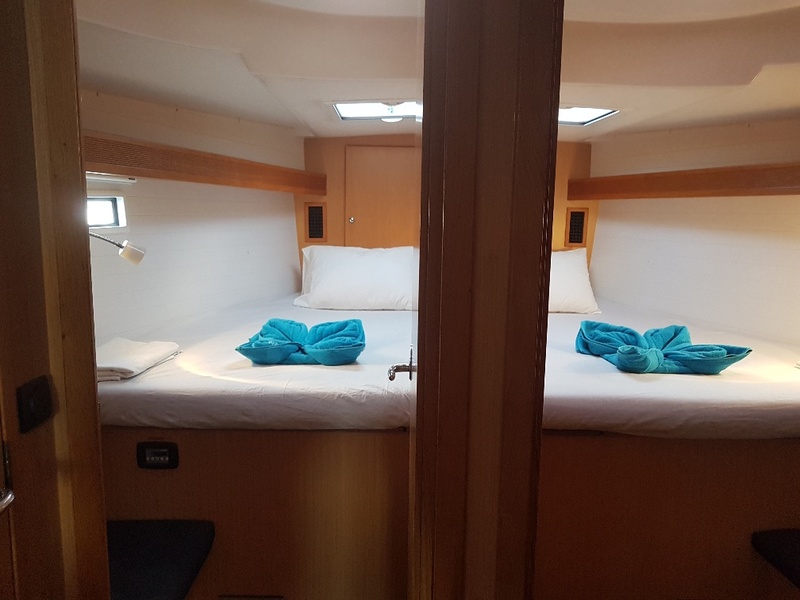 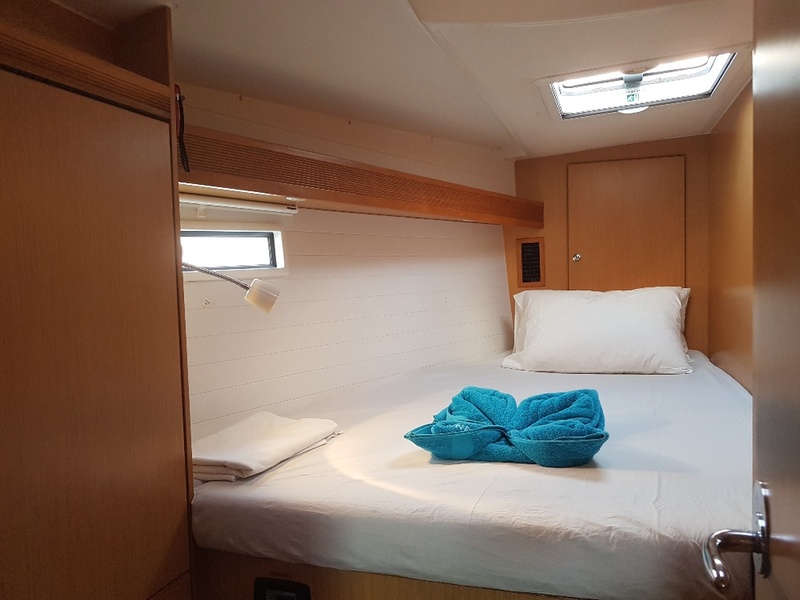 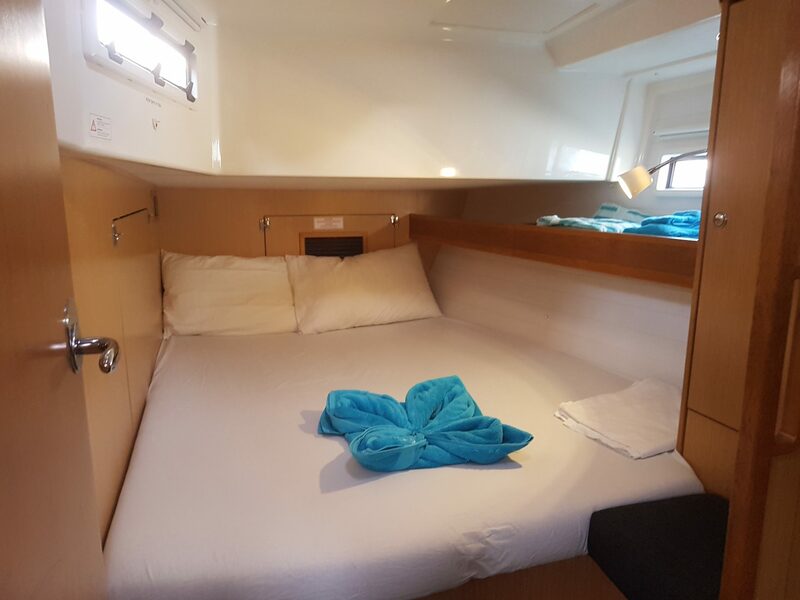 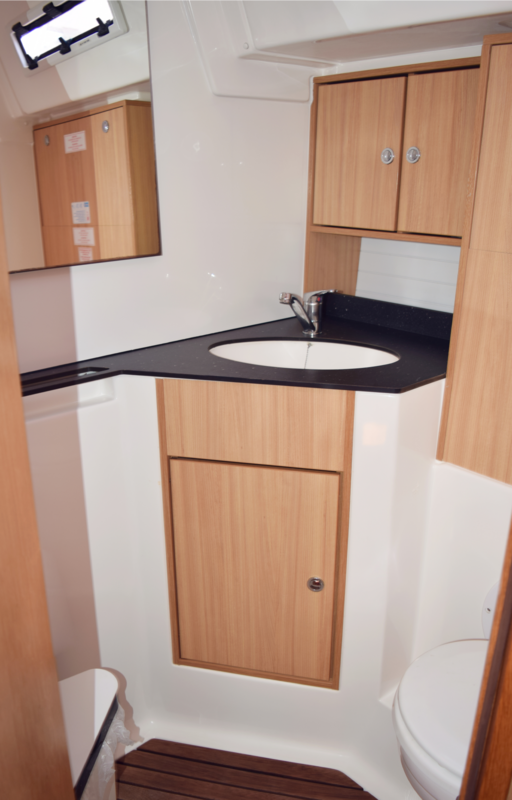 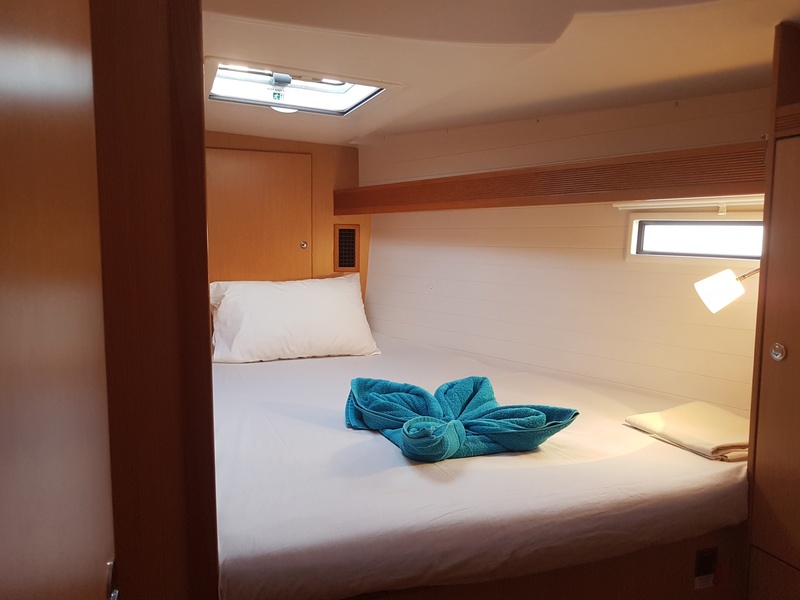 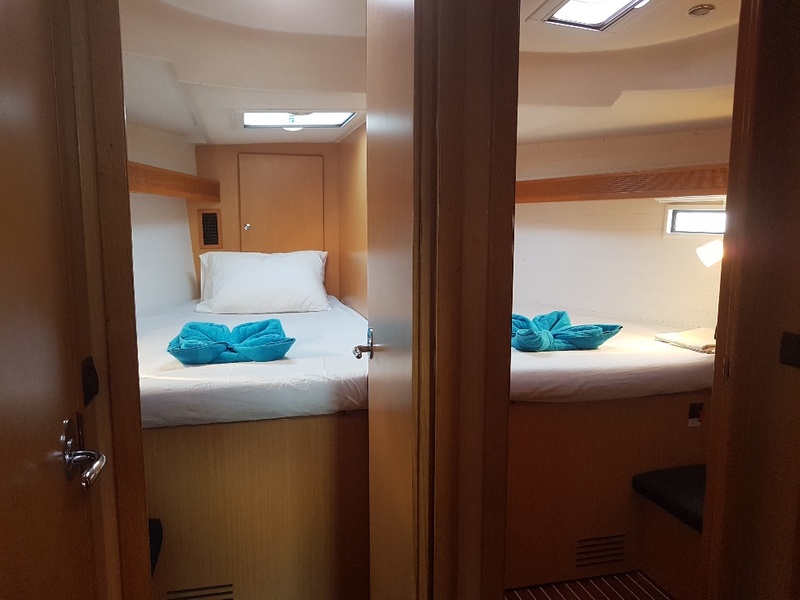 The aft cabins are en-suite and two small doubles forward with additional stand up shower room, making this boat great for families with children or larger groups. 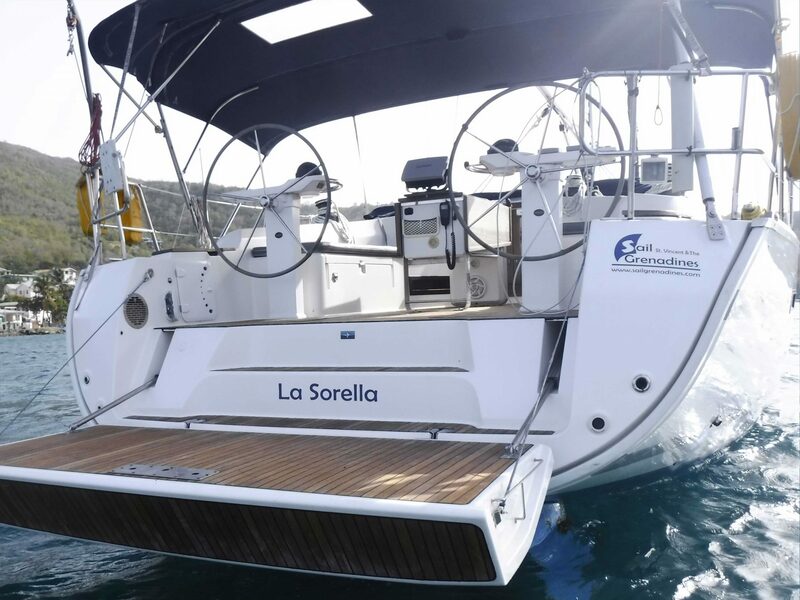 La Sorella also has the added bonus of air conditioning. 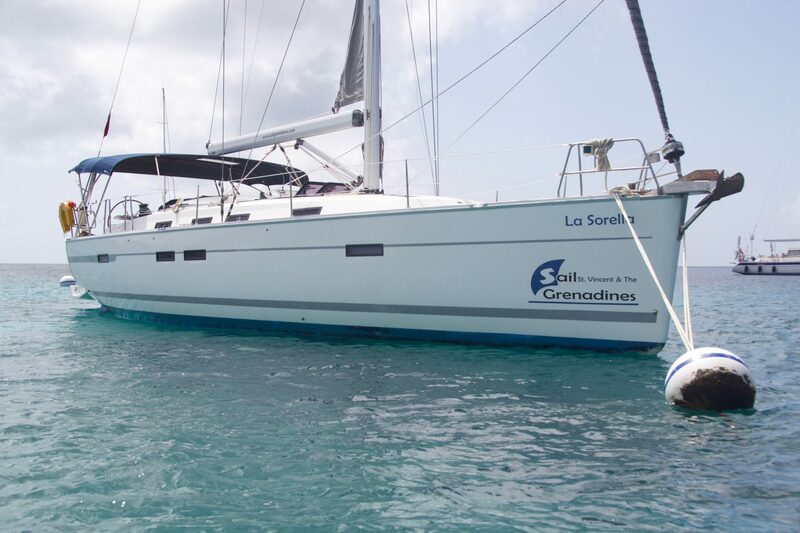 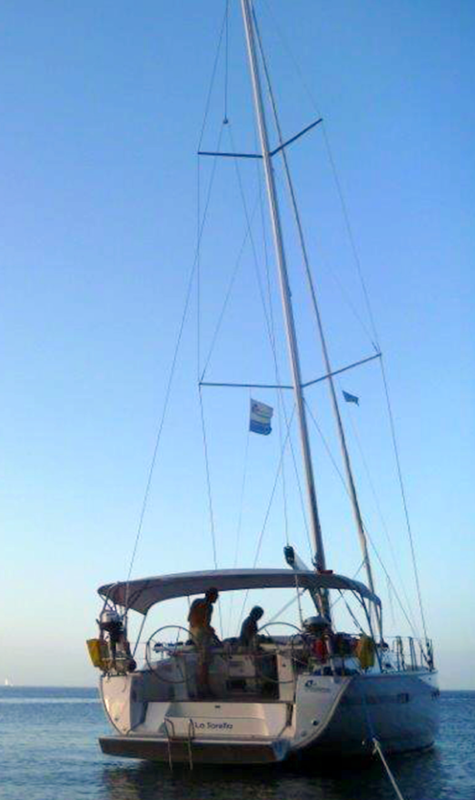 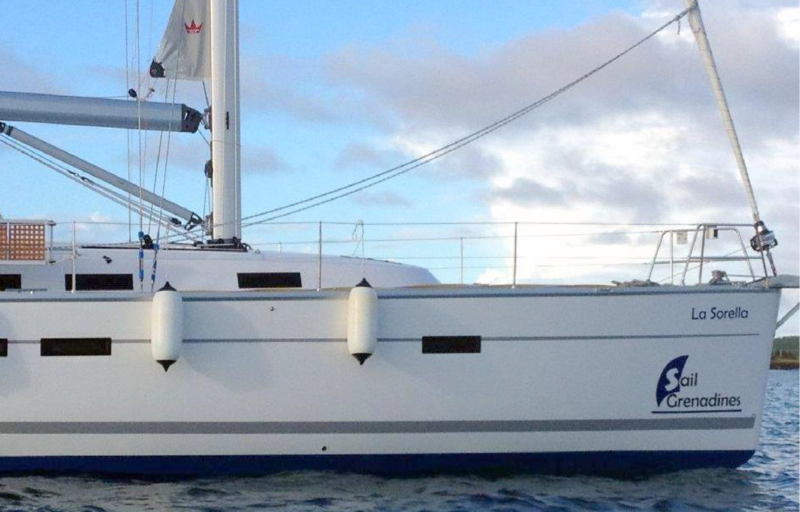 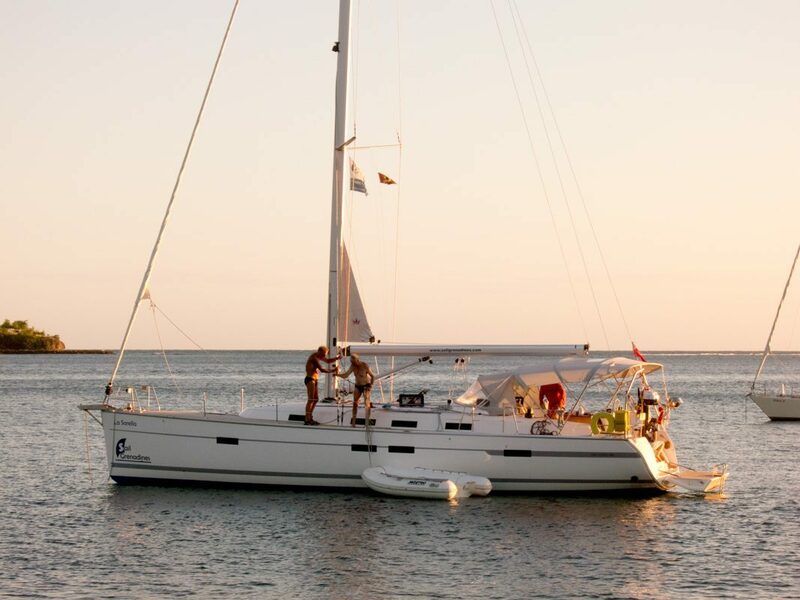 This spacious yacht is best for up to 6 people in 3 double cabins (coded for 8 persons). 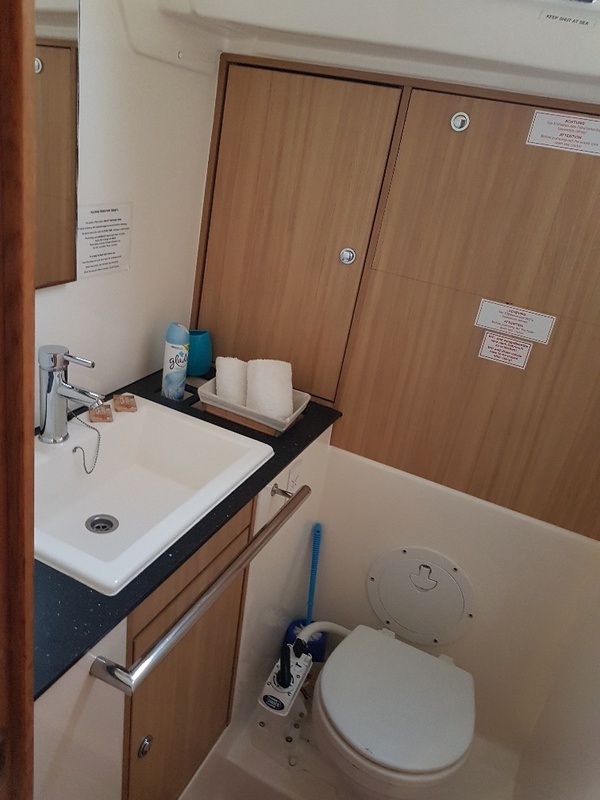 Further accommodation is available in the saloon. 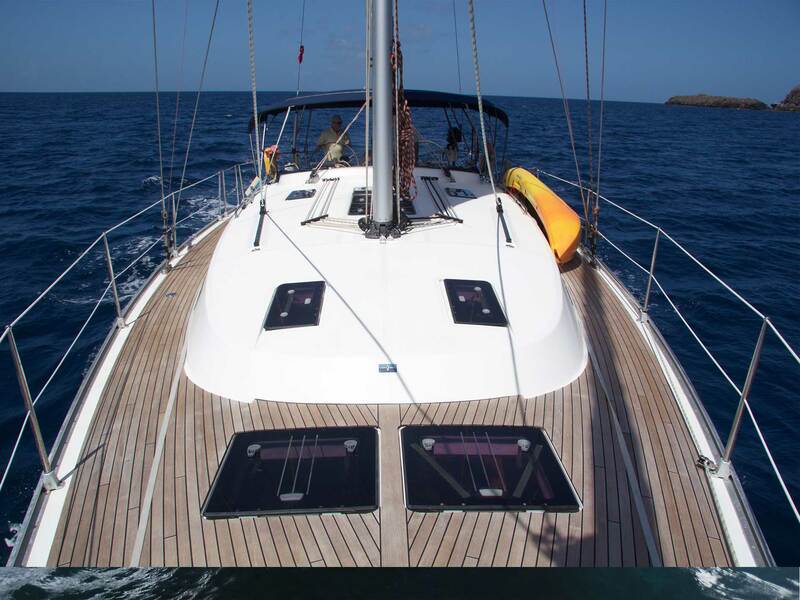 She 3 heads, teak decks and many more extras on board. 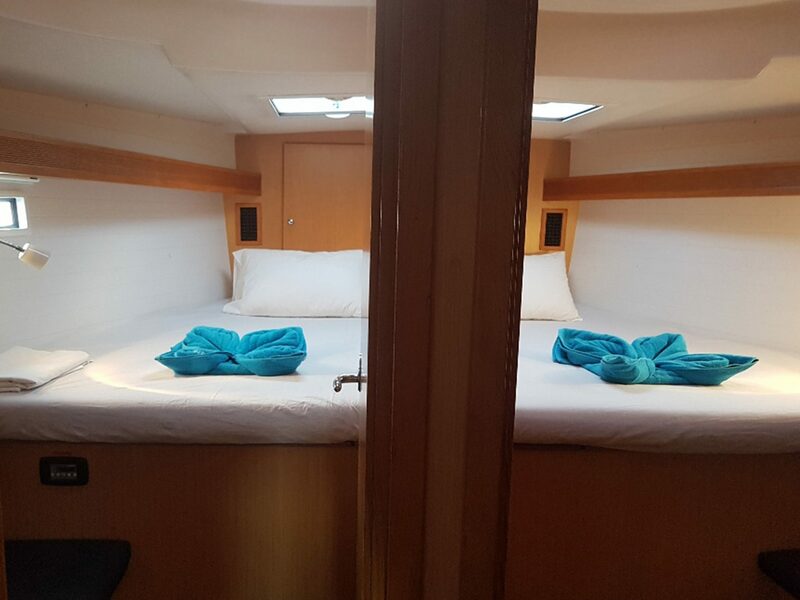 A large bathing platform and two helms in the cockpit gives lots of sunbathing space and social outside space. 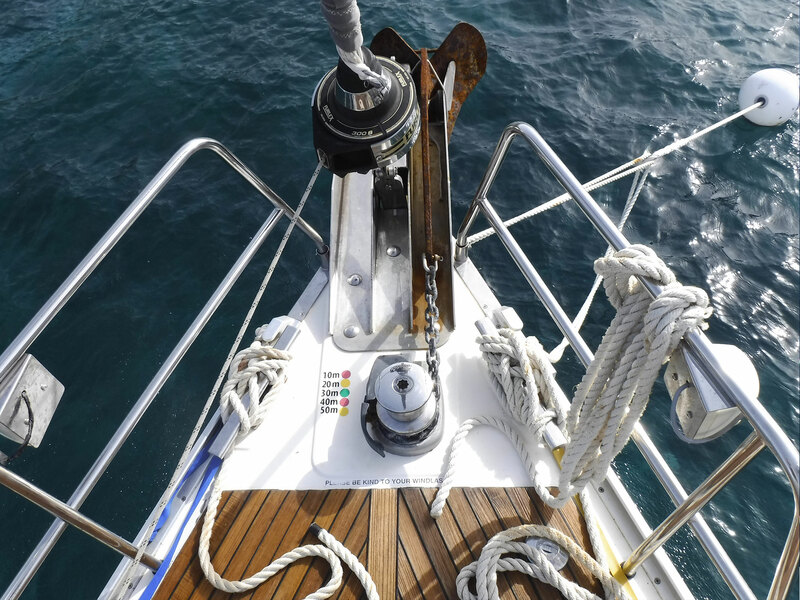 Binoculars, charts, guide books and fully equipped chart table. 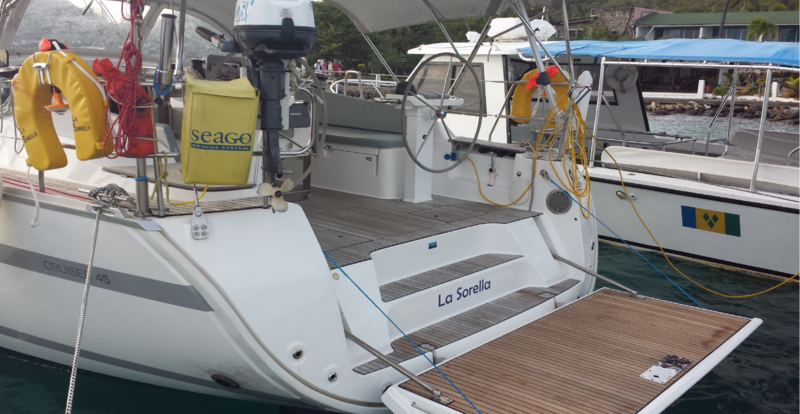 Full Safety Pack (Flares, automatic lifejackets, etc) and Cat 2 coded. 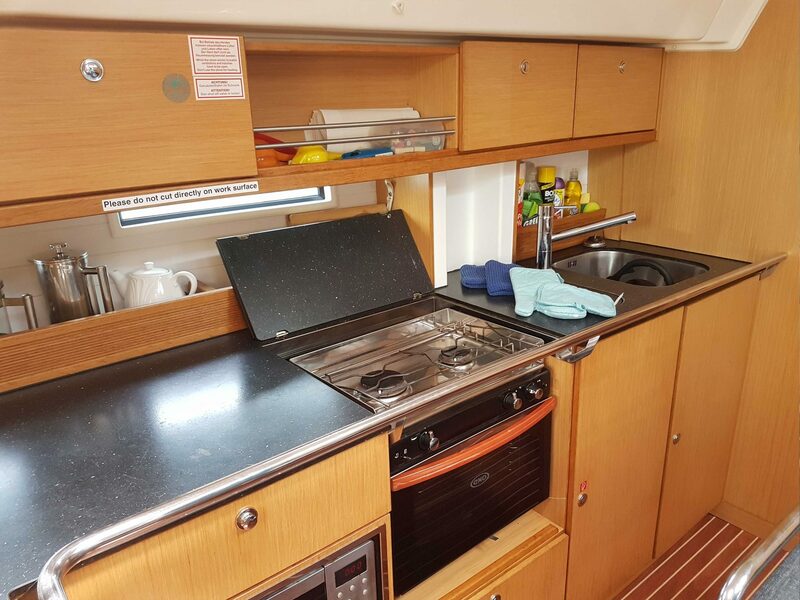 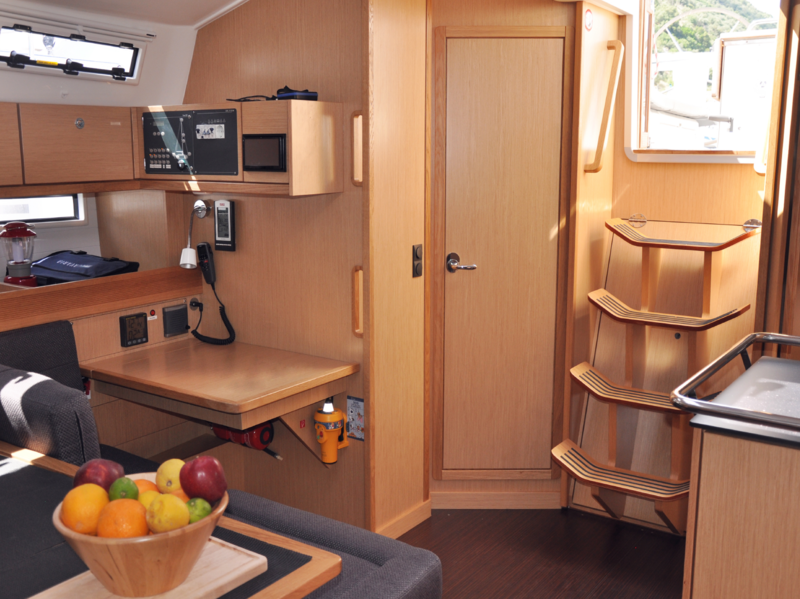 Fully equipped galley including spices, salt, pepper, rum, water, juice and more. 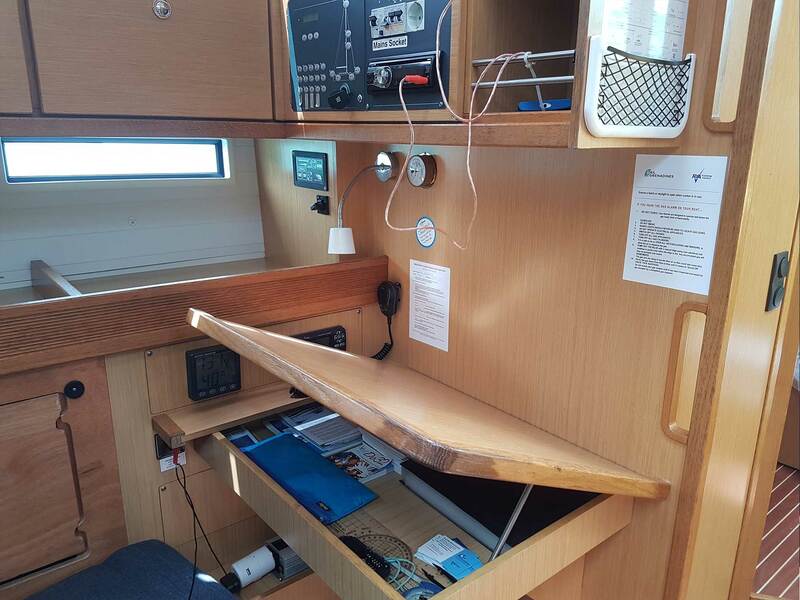 Local phone and sim for any questions, 24 hour support. 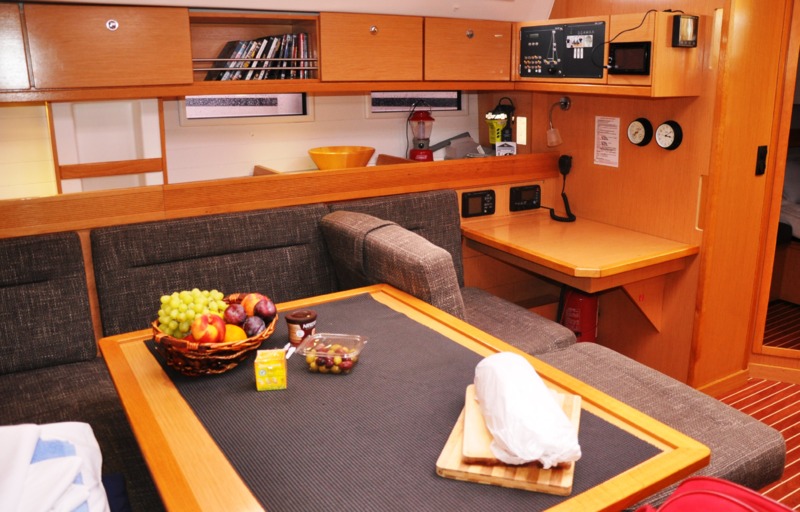 This spacious yacht can accommodate up to 10 people in 4 double cabins and a convertible saloon table. 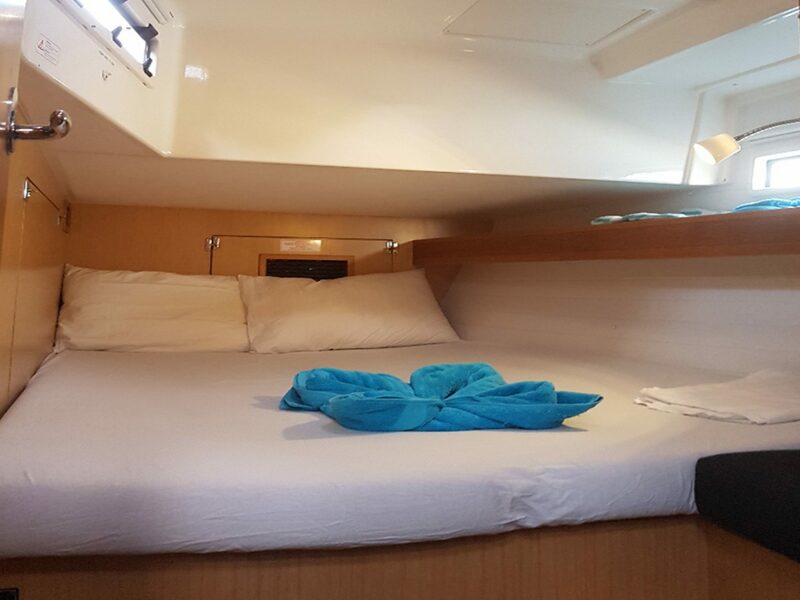 We recommend sleeping 8 maximum, She has 3 heads on-board, full shower room, teak decks plus many more extras on board. 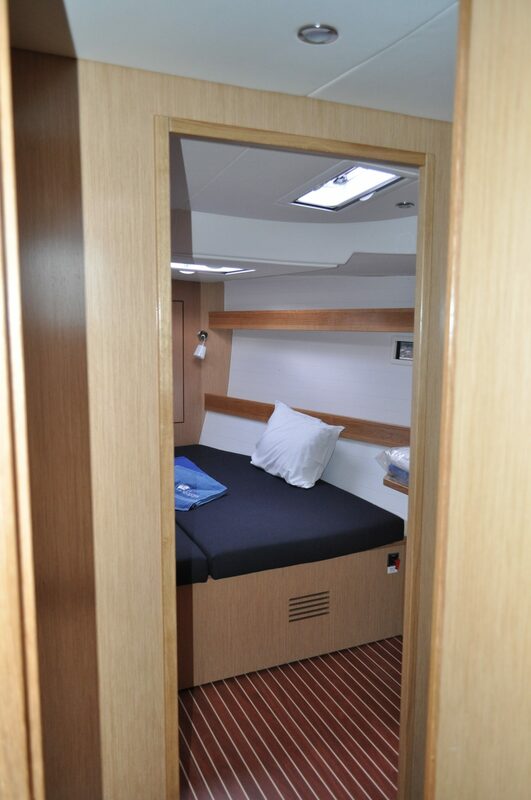 She is complete with generator and Air-conditioning as well as cabins fans. 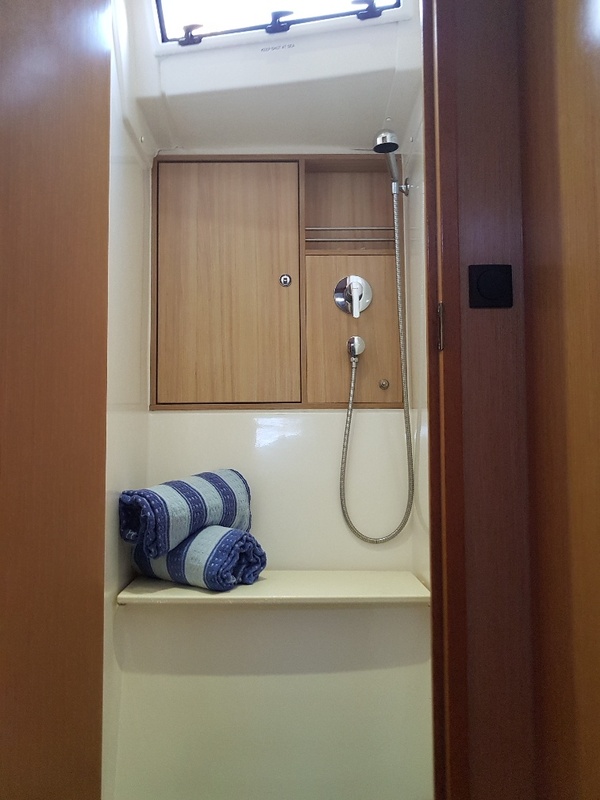 She has a large bathing platform and sunbathing deck also. 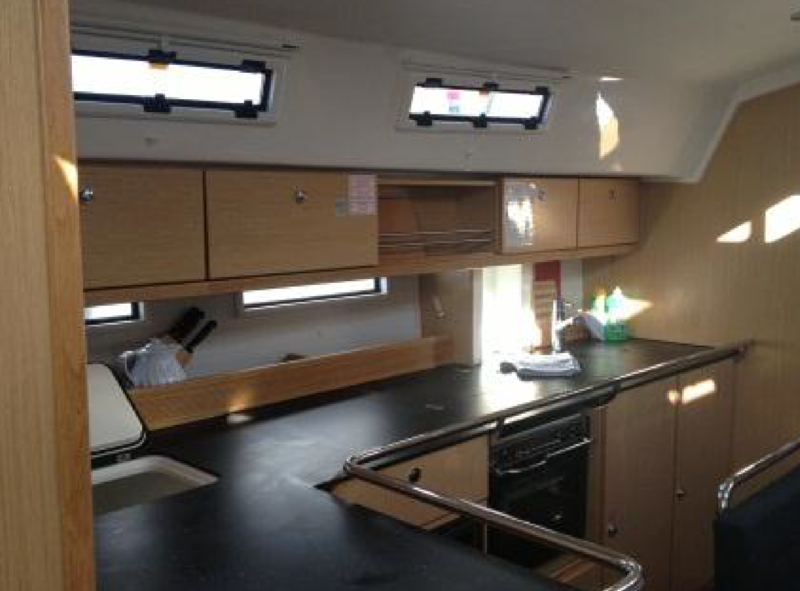 Well stocked with pots, pans, crockery, juicers, cafetierre, etc. 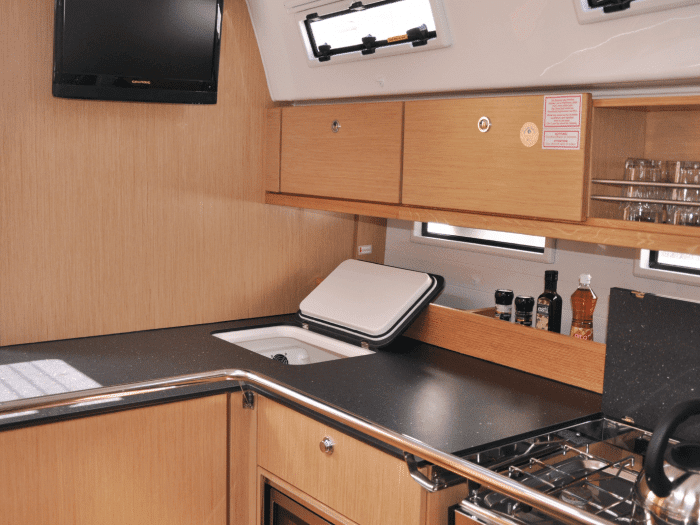 Top Loading Fridge and Front loading Fridge (New 2017) nd separate beach cool box.